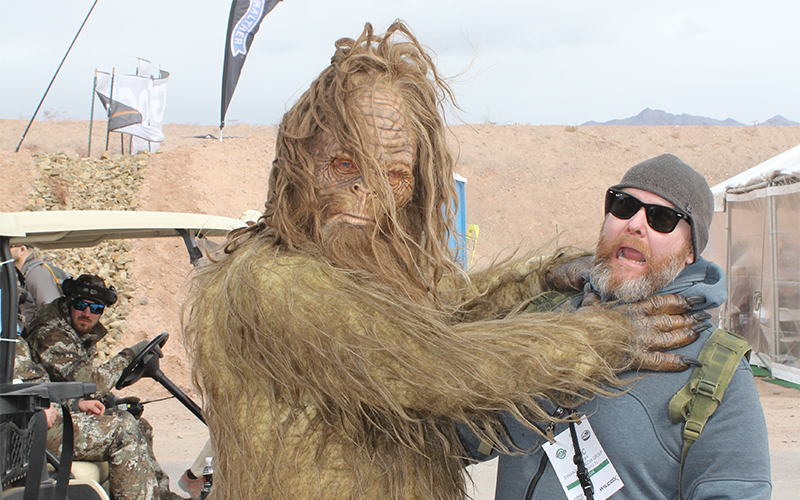 It’s that time of year again where the holidays are all over and the internet fills to the limit with photos and commentary direct from Las Vegas, Nevada for every gun enthusiast’s Valhalla by the name of SHOT SHOW. This “Industry Only” event’s official name is the Shooting, Hunting, Outdoor Trade show is presented by the National Shooting Sports Foundation (NSSF) and features some of the newest and most innovative firearms, knives, ammunition and gear being released for the new year. With miles of show floor space spanning five floors throughout the week, starting with a mile-wide range experience, one could easily write a book on the full SHOT SHOW experience. To fit all the fun into one article, we bring you the “Best of the Best” for SHOT SHOW 2019. 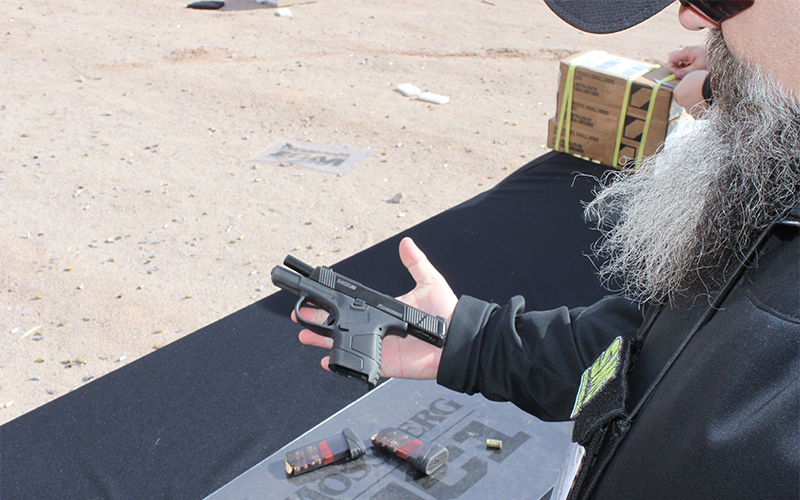 The team’s search for the top products for this year started early on Monday in Boulder City, team members hit the range during the Media portion of Industry Day at the Range. For over a mile, tents containing brands such as Colt, Springfield, Beretta and others filled each shooting bay with all the guns and ammo a writer could ask for to get hands on experience with new products. This would be where we found the first two picks of our “Best of the Best” products. Let’s check out what our team discovered this year. Our top five starts off with Mossberg’s newest release, the MC1sc subcompact pistol. With Mossberg’s first entry into the handgun market in over a hundred years, this pistol takes on the concealed carry market with a polymer 22-ounce striker fired 9mm with one 6 round capacity flush fit magazine and one 7 round capacity extended round magazine. On the display table, there were samples of each version of the MC1sc currently offered, including the standard pistol, optional cross bolt safety version, Cerakote and Titanium finished model, laser equipped model and Tritium Pro sight equipped model. Doc, John and I each took turns with various models of the MC1sc using both magazine configurations. 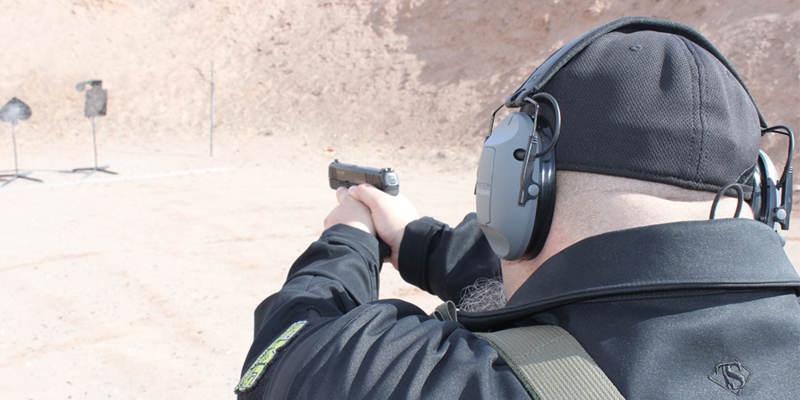 From the 30 – 40 initial test rounds we each put down range, we were all very impressed with the accuracy and recoil management of such a compact pistol. The sights were easy to acquire quickly, and the flat trigger allowed for a straight press feel to the break. Although much more testing would be needed for a final assessment, I do think Mossberg is on the right track with current market trends. Look for a full report coming soon once our T&E sample arrives shortly for a more in-depth review. Next Jerry and I came upon one of our favorite booths of the event, the Ruger firearms section. Scanning from the wide array of pistols, rifles and other Ruger related products, Jerry noticed a small framed rifle set up just like Ruger’s popular large caliber bolt action Precision Rifle series. As it turned out, this rifle was one of Ruger’s Precision Rimfire series famous for very accurate .22 rifles, now chambered for .17 HMR. For those not familiar with the .17 HMR cartridge, you have truly been missing out on the fun. The quick overview is a .22 Mag round necked to a .17 cal projectile to produce roughly 30% more power and distance than its host casing. Imagine sub MOA shots from your favorite .22 / .22Mag platform at distances out to 100 yards and effective small game kills out to 200 yards. Now, Ruger has put it into their impressively accurate bolt action series. What we observed during a quick three magazine test session was amazing. Using Hornady Match .17 ammunition and Ruger’s proprietary .17 / .22 suppressor attached, Jerry and I took turns sending rounds down range at the small 100-yard targets. With each shot, the Ruger Precision Rifle was quietly center punching the target as fast as each shooter could cycle the bolt. The space aged looking stock was very comfortable and offered a very solid check weld unlike most products in the rimfire market. With both Jerry and I being impressed with the initial rounds of shooting, I added the Precision Rimfire to the request list for T&E for our spring firearms reviews. For those of you who are fans of NFA items such as short barreled rifles, machine guns, and suppressors, day one of the actual SHOT SHOW floor in the Sands Convention center located on the Las Vegas strip would be for you. As I began my day running from various meetings, I did make time for a new product announcement from Torrent Suppressors. As a longtime customer of Torrent from their early days under their old Texas Armament brand, I was excited to see the release of their Orthrus series pistol and rifle suppressors. What sets these new suppressors apart from the rest of their catalog are the interchangeable end caps and quick disconnect flash hiders. Throughout my time in law enforcement and as a firearms instructor for both NRA and USCCA, I have run suppressors from all sizes, weights and most notably, price ranges. Coming from a single Deputy Sheriff budget to a humble married gun writer budget, I was excited to see big budget features coming to heavy duty suppressors within the “working man’s budget” suppressor such as Torrent. Sadly, these suppressors were not currently available to test along side the Torrent suppressors I currently have on hand, but I was assured we would be receiving both very soon for review. Like past years, our “Best of the Best” list wouldn’t be complete without a stop at the elaborate Glock booth once again this year. This company simply makes solid guns at great price points in configurations shooters want year after year. 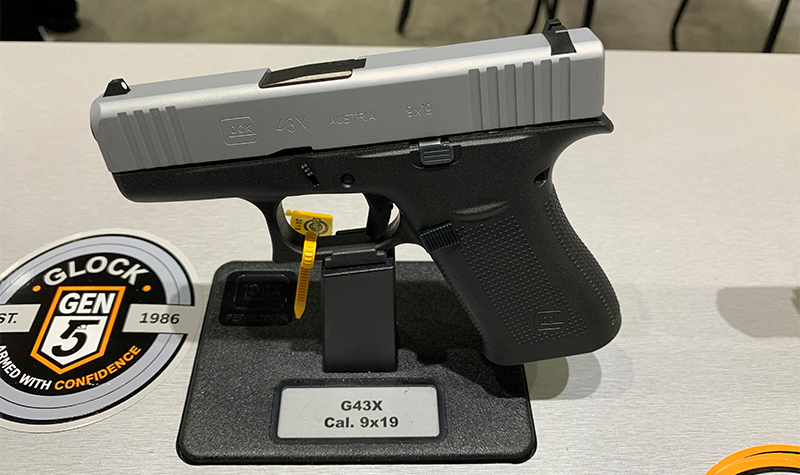 This trip would be our first in person look at the recently released models featuring the G43X, G45 and G48, all chambered in the very popular 9mm platform. At first glance, the untrained eye would see a generic black Glock and two dual tone silver and black versions in varying sizes. The key to really discovering the benefit of these three models is in knowing that sometimes seeing is best done with the hands and not the eyes. When I picked up the G43X, it felt like my personal carry G43 but with a better purchase on the pistol due to the extended grip now containing a flush fit ten round magazine. Having had to grab a pistol at “bar room speed” several times in the past, I can tell you from experience that being able to establish your master grip on the draw is extremely important. 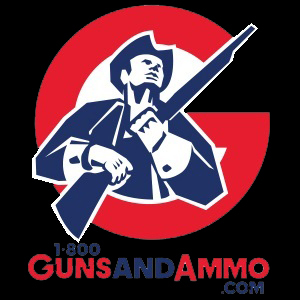 Moving to the G45, it obviously reminded me of the G19X reviewed this past fall here at 1800GunsAndAmmo.com. Unlike the G19X model, the G45 was more in line with the Gen 5 series with its front serrations and flared magazine well. While I was not a fan of the two-tone flat dark earth model, the classic black overall finish is always a winner. Best of all, it will still fit in most holsters build for the classic G19 compact. Finally, the truly new model frame, the G48 was the most questioned of the three when its release was announced. 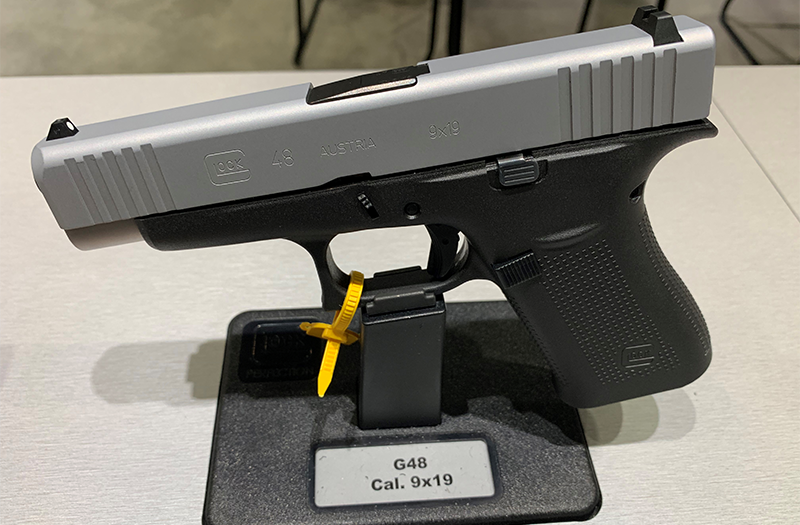 Even I had questions about a G19 sized pistol limited to only ten round magazines, but once my hands wrapped around the much thinner frame, I understand the method to the madness. For a lot of people, the draw back from a compact sized Glock for concealed carry is the bulk from its wide double stack design. 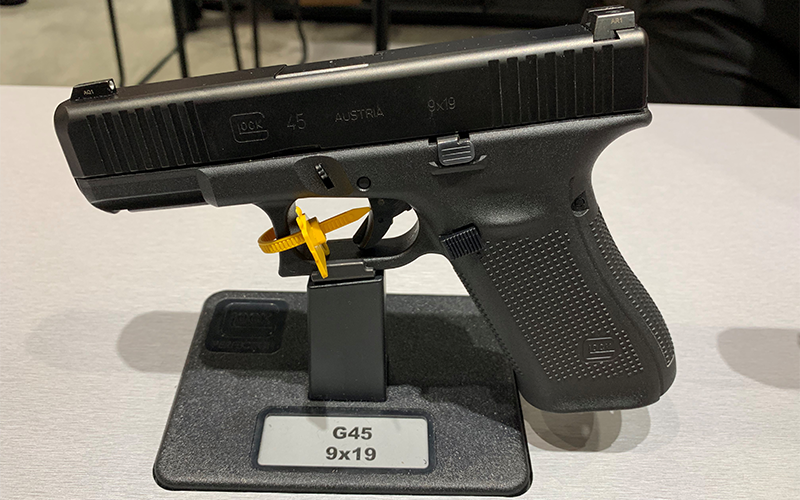 For those carrying appendix carry or with smaller body frames in general, the G48 offers adequate capacity in a sleeker and more manageable profile. Seeing is believing and now I get it. Overall, I was impressed enough with the new Glocks to have them share a spot on our top five product picks. Unfortunately, Glock and the NSSF frowns upon loading guns up on the show room floor and stuffing them inside the waist band to research how they fair as carry guns, so arrangements were made to learn more later. As with a lot of products we discovered at SHOT SHOW this year, all three of these Glock models were added to our T&E list for review coming very soon! One of the things I find fascinating with the SHOT SHOW is the fact that sometimes, the best products aren’t even firearms or firearms accessories! This was the case with our final impressive find for this year. For one day out of the show week up on the fifth level of the SHOT SHOW floors, the NSSF hosts the new vendors day. This is a time for companies who have never exhibited at SHOT SHOW before or simply can’t afford the big investment to land a booth on the main show floor to be able to show their designs, concepts and innovative products. For aspiring “Shark Tank” assessors such as myself, I love seeing the big dreams come to life with products ranging from the far-fetched to the truly innovative designs looking for their big break. This is where I discovered the Eversafe packs thanks to our career private contractor team member, Shawn. 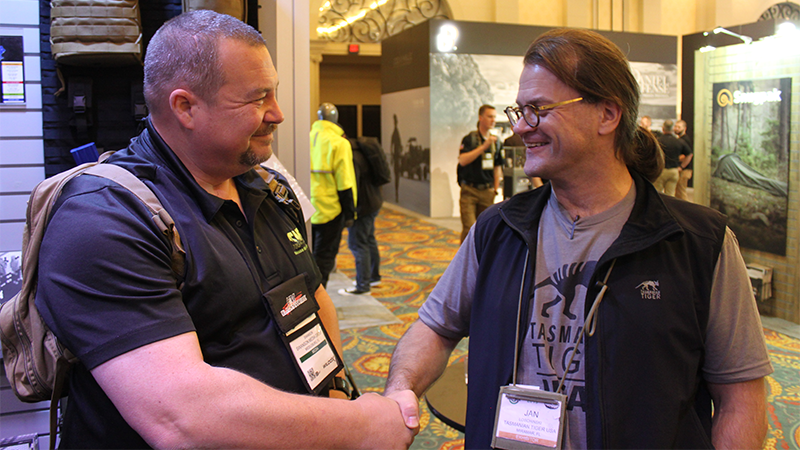 Earlier in the day, Shawn had stopped by and discussed the Eversafe products with the company owner, Hugh McLean. Afterwards, Shawn pulled me aside during lunch and simply described the Eversafe products in the realm of covert operations as a “game changer.” To know Shawn, you would realize this term is only reserved for the elite innovation such as high-end surveillance equipment, new Bluetooth enabled devices and the recliner with a built-in beer refrigerator, so naturally I had to give this product some attention. Prior to this meeting with the Eversafe company, a pack has always been a pack with only thread count, material and size really being the focus. Afterwards, I felt this new product has set a standard in which “tactical” packs should strive to attain. 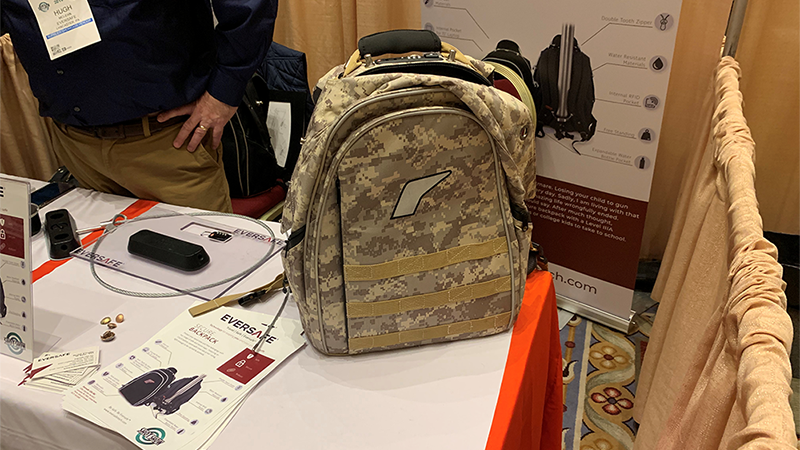 Eversafe builds their packs to not only be “low profile” for the user but also extremely tough for unauthorized personnel to access it. 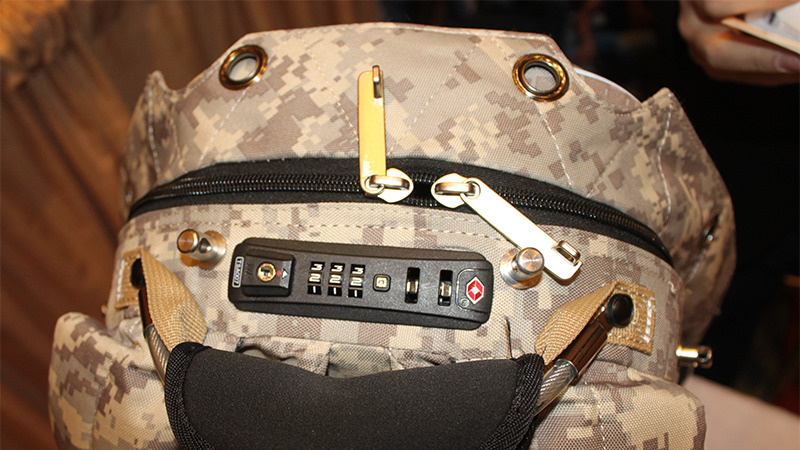 Each pack is made from a proprietary Kevlar material and secured around its openings with coated cables and combination locks. If you were on a city bus and wanted to secure this pack to a fixed object such as a seat bolted to the floor, even a full-sized Gorilla wouldn’t be able to steal your valuables. As we further dove into details about its construction, uses in both every day life as well as mil / LE / contractor circles seemed to be limitless. This made it a perfect choice to round out our “Best of the Best” segment covering SHOT SHOW 2019. 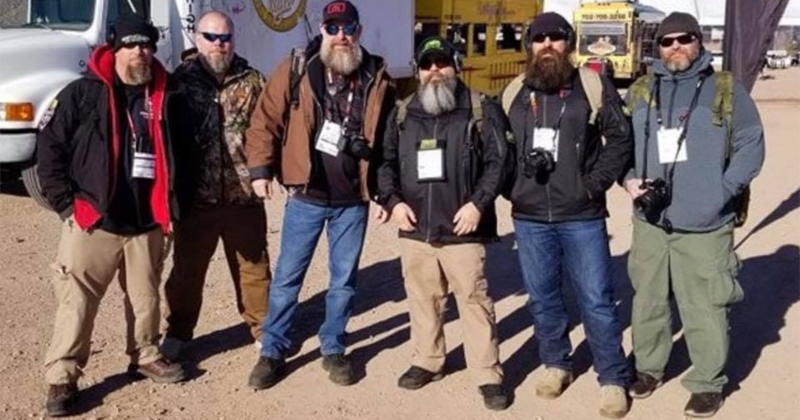 As the week drew to a close, the team managed to cover a solid majority of the world’s largest firearm industry event and remain in good spirits from sore feet, lack of sleep and fighting off the deadly “SHOT SHOW” flu. The key finds each team member took from the event were the people they met during the week. If SHOT SHOW offers but one thing all week, it is the unique and special folks that make up the industry. This is notably the one down side to working an industry only event is that the general public doesn’t get to meet all the hard working and amazing people behind the products. Fortunately, a lot of these companies and people are present at the NRA Annual Meeting each year that is open to all NRA members for free. For everything the media fictitiously makes up about how “evil” the industry is, one must laugh at the accusations after meeting these hard-working folks from around the world who share our love of the Second Amendment and the shooting sports world. I urge you to further support these people and organizations such as the NSSF, NRA, USCCA and others by joining up and attending their events. You too will discover some amazing products on the market and make some life long friends. 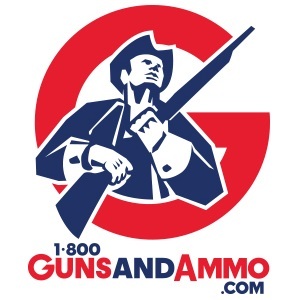 For more information about the products listed in our “Best of the Best” features, stay tuned to 1800GunsAndAmmo.com for full in depth follow up reviews coming soon!